You are here: Home / Gardening / 5 Minute Hack to Dry More Herbs Faster! 5 Minute Hack to Dry More Herbs Faster! Do you grow organic herbs so your chickens have them all year long? Or maybe you like making herbal teas? As you know, there’s a short window of time to harvest herbs while they’re at their peak. In a few months, they’ll all be buried under snow and frost! Right now, we have so many herbs growing, we can hardly harvest them all. It seems as soon as we harvest one raised bed, the other ones ripen! In fact, our lemon balm (which is so good for so many health purposes!) is practically taking over one of our raised beds – so I’m trimming it back constantly. Because we have curious kids, and chickens, and rabbits, we’re a little short on space where the herbs can dry but also be kept clean. While you CAN use a microwave to quickly dry herbs, some readers have pointed out that they’re not comfortable with the process. (You can also use a dehydrator like this one here, but they can cost quite a bit). 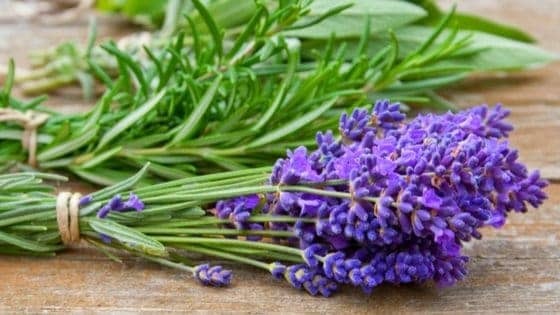 Some readers also want to use vintage, traditional, or solar methods on their farms, so we figured out a 100% natural way that lets us dry large bunches of herbs in a smaller space. We also noticed that it dries the herbs faster than just hanging them up in your kitchen (ours sometimes mold in the kitchen if we just randomly hang them around), and you might even have all the necessary parts in your house already! Here’s our 5 minute hack to drying more herbs in a smaller space! Long stem herbs are best to use because they’re easier to hang (if you have lots of herbs without long stems, you can use a mesh bag, but don’t fill it too full or the herbs will mold). 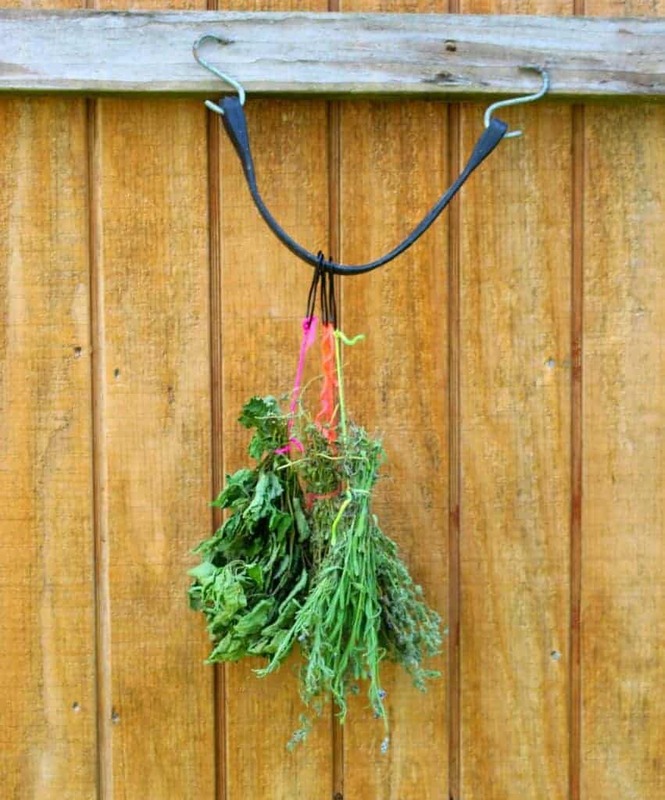 Grab your bunches of herbs and tie one bunch at a time together with the string. 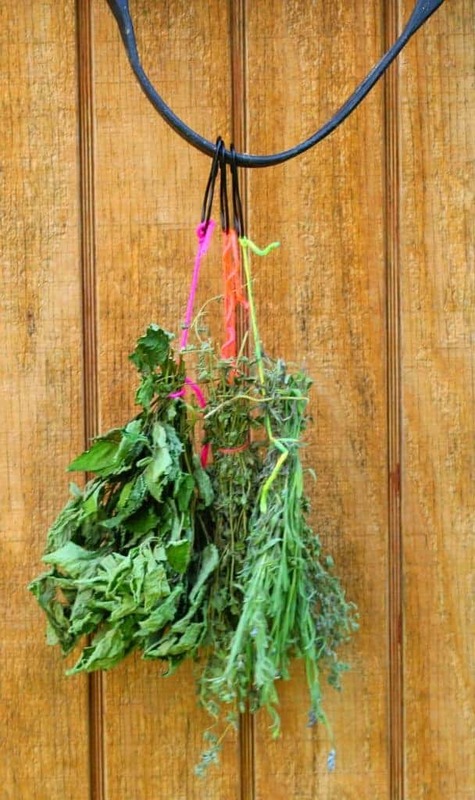 To hang the herbs upside down, tie the strings to the shower curtain rings, and then hang from the shower rod (or whatever you’re using to hang the herbs). The shower rings allow for air circulation – and they let you put as many herbs as possible in a more compact space. For the first 24 hours, we hang them outside (as long as it’s not raining) so we can take advantage of air flow to kick start the drying. After 24 hours, we move them to a dry location that’s sunny but out of direct sun. If you’re worried about leaves falling of the herb stems, you can either place a paper bag over the stems or place something under the drying rack to catch the falling leaves (the problem with this method is you then have to sort through all the leaves to figure out what herb they are!). We usually only process 1 type of herb at a time, collecting them on specific days. Before using this strategy, the herbs could be a little difficult at times to distinguish after they were completely dried. It’s a simple but effective 5 minute hack to make drying herbs easier and faster! 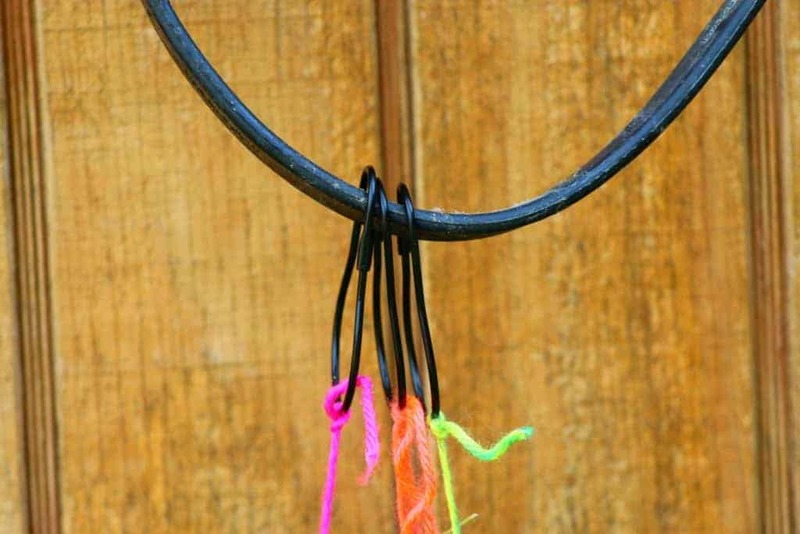 You could always use a color code with the strings you are using to hang them with. That way if you are hanging several types, the color identifies the dried herb. Most often when you process you would proces a certain herb in batches making it easy to switch colors when hanging.